As the sun sets, you put on your dive gear, slip on your scuba mask and bite down on your dive regulator. A deep breath and you step off the jetty or boat – into the underwater night. Although you’ve dove this spot many times before, this time you drop into a whole new world and watch it come to life under the glow of your dive light. Many underwater creatures and plant life (different from those you see during the day) are active at night. To enroll in a PADI Night Diver class, you must be a PADI Open Water Diver or Junior Open Water Diver (or qualifying certification from another organization) who is at least 12 years old, to enroll in the Night Diver Course. This specialty also counts towards your Master Scuba Diver Certification. You can start by reading the PADI Night Diver Manual and watching the Night Diving DVD in preparation for meeting with your instructor to schedule the night dives. Stop by Aquatic Dreams Scuba Center to enroll in the course and get your Night Diver Crewpak and start learning. 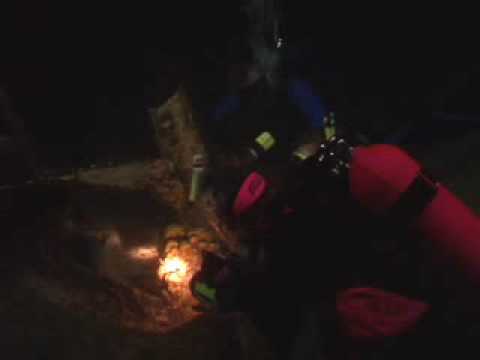 Along with your basic scuba equipment, you will need a primary dive light, a backup light and a tank light. Other books and equipment may be introduced by your instructor.